This was a dish that The Baron and I enjoyed. I mean, who could resist pasta with a tomato cream sauce and baked with cheese? It was easy to put together in advance and it's freezer friendly too. If you can find San Marzano tomatoes, I would highly recommend it. They may be a little pricier but worth every penny. These tomatoes have a bit more tomato flavor with a slight sweetness and less seeds. If you haven't used San Marzano tomatoes before, this would be a good recipe to try them in! In a large skillet, add 2 tablespoons oil. When hot, add onions and garlic, sauteing until softened. Add prosciutto and saute until slightly crisp. Remove skillet off stove and carefully pour in vodka. Stir and place skillet back on stove. Cook off the vodka for a few minutes. Add the rinsed, drained and seeded tomatoes to the pan, breaking them up by hand into chunks.Add tomato paste to the skillet and stir to incorporate. Add heavy cream and half & half, stirring to incorporate for the sauce. Stir in a tablespoon of butter as a time into the cream sauce. Add the Parmesan cheese to slightly thicken. Stir in half of basil into the sauce and reserve the remaining basil some for garnish. Reduce heat to low and simmer for 20-25 minutes, stirring occasionally.Season with salt and pepper to taste. 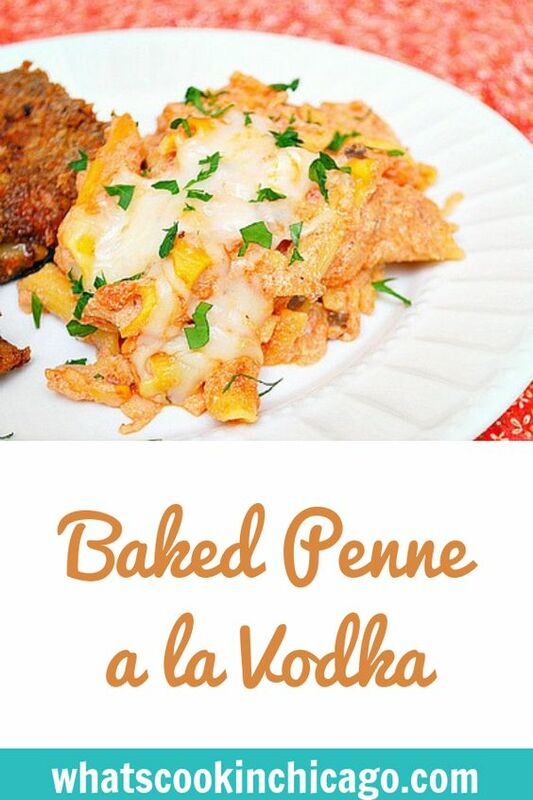 Place cooked pasta into a baking dish and top with vodka sauce. Sprinkle with mozzarella cheese and bake in the preheated oven for 20-25 minutes or until cheese is melted and pasta is warmed through. Before serving, garnish with remaining basil. 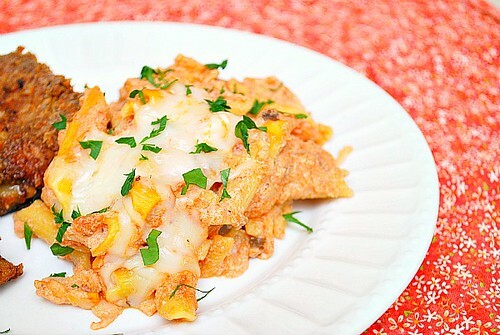 Love baked pasta dishes!!! They are so yummy and comforting!!! So funny - I have a penne with vodka set to publish tomorrow. We're on the same wavelength.